Toyota Fortuner is one of the best SUVs out there in Indian Market known for its off roading capabilities. 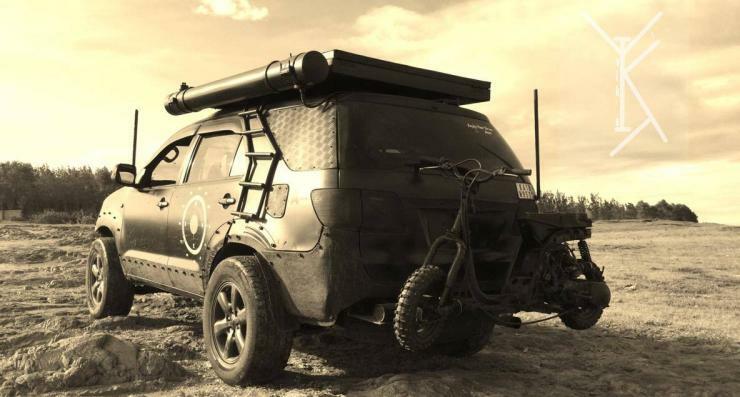 Today we are featuring a heavily modified Toyota Fortuner. This SUV belongs to Vikram Dharam. He wanted to utilize his vehicle for every kind of road and situation therefore he came up with such built which can bear can kind of roads. The owner removed the front bumper for the easy riding on slopes. Headlights and front grills are covered under the metallic mesh. Side stair is also removed. Roof top has tent for the camping purpose and water tanks in cylindrical shape attached to roof. There is a ladder on the side. On the back side there is a motorcycle attached to it for giving the owner to freedom of roaming wherever he wants. There are no changes done in the performance upgrades.